Good oral health is more than just a pretty smile. 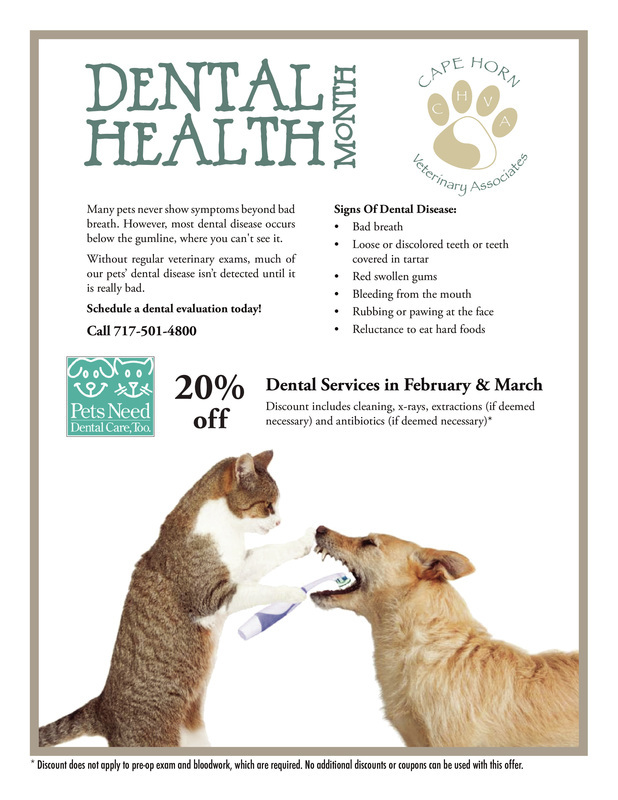 Poor dental hygiene can put both your pet’s health and your pocket book at risk. “Dog breath” – or a cat with a foul-smelling mouth – can be a sign of untreated dental conditions. If left untreated, you may put your pet at risk for greater problems such as periodontitis or heart disease.